As part of our continued commitment to sustainable, organic, and biodynamic farmers, along with celebration that The Wine Company has been carbon neutral in all operations since January of 2012, we are declaring April EARTH MONTH! We are not new to organic wines; we are not jumping on board ‘cause it is the newest hot thing. We look for the best wines we can find; wines we really like and believe you’ll like, too. For 28 years of assembling this portfolio; this has been and remains our defining criteria. It is telling, then, that so many of our choices are organic or biodynamic. You needn’t drink organic wines simply because it’s better for the environment. You should be drinking them though because they are often the best wines. 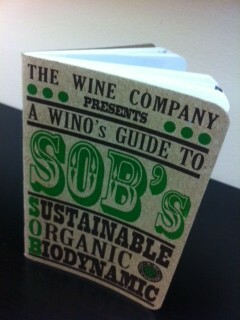 Our new little guide to understanding ‘green’ wines … follow us on Facebook for a chance to win one! I want to relate a very convincing experience as to the qualitative superiority of organic wines. For many years we imported wines from a small cooperative of growers in Alsace, the Cooperative de Ribeauville. Early February we make our first of the year buying trip to France and always would call at this cooperative. One year the winemaker surprised us; after the usual tasting, we were not done. He had vinified the grapes of his organic growers separately from his traditional growers this year; would we like to taste those wines? This was about as controlled a comparison as one could achieve for an agricultural product; same vintage, same facility, same winemaker and as near to the same soils as one could reasonably hope. What a revelation! These wines had a purity, harmony and, if I may, a kinetic excitement the stood them far above their traditionally made peers. In a blind tasting of 10 pairs of biodynamic and conventionally made wines, conducted by Fortune and judged by seven wine experts including a Master of Wine and head sommeliers, nine of the biodynamic wines were judged superior to their conventional counterpart. The biodynamic wines “were found to have better expressions of terroir, the way in which a wine can represent its specific place of origin in its aroma, flavor, and texture.” As mentioned in the first paragraph, there are other variables that may differentiate these wines still the conclusions are very definitive and therefore telling. Not convinced yet by the tastings and personal experiences related above? You need to see to believe? 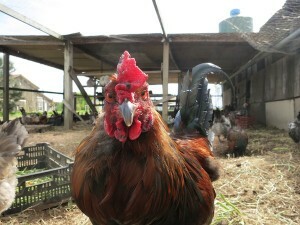 Phillipe Drouhin shares a telling eyewitness account of the benefits of organic and biodynamic farming. 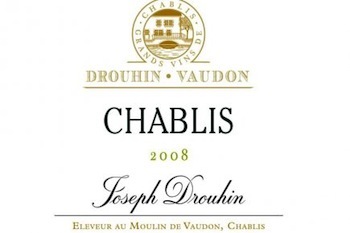 Phlippe Drouhin is in charge of the company’s 73-hectare estate, including 38 hectares of Chablis, now known as Chablis Drouhin Vaudon. 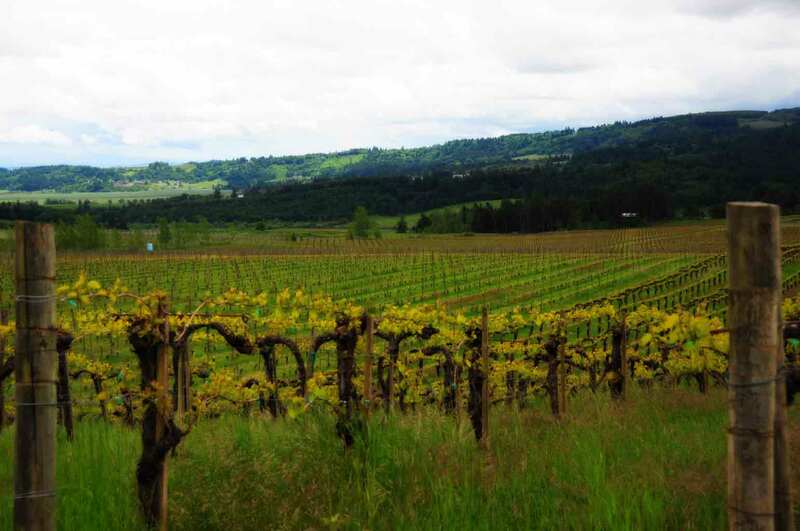 Phillippe began introducing organic practices back into his family’s vineyards in 1990. Since then, Drouhin has moved away from all but the most simple and natural treatments of the vine toward a non-interventionist approach and, beginning in 1997, has instituted many of the practices of biodynamie. The first thing Phillipe does when talking about organic grape growing is to remind us that this is not something new. Before World War II, all farming in France was organic. It was after the war that the industrialization of agriculture introduced synthetic pesticides, herbicides and fertilizers into the vineyards. Phillippe believes that vineyards grown biodynamically are much healthier and their natural resistance to pests and disease is demonstrable. He tells about a neighboring vineyard farmed conventionally that suffered a severe mildew problem but his biodynamic vines remained totally unaffected, producing a good healthy crop. Proof in the puddin’. Coming all month from The Wine Company: education and discussion about ‘green’ wines, interviews and videos of key winemakers around the world, highlights of our tastings and where to find these remarkable wines.